The work presented here is an English translation of the famous book of Inheritance ‘As-Sirajiyyah’ (Hanafi school of jurisprudence). "Forty Hadith An-Nawawi" is a collection of the most important prophetic traditions/hadiths by Imam An-Nawawi. This is the difference between someone whose heart is purified and sound and one whose heart is impure and corrupt. Impure people oppress, and the pure-hearted not only forgive their oppressors, but elevate them in status and character. Hayatus Sahabah is a book written on the lives of the companions of Prophet Muhammad (PBUH). Below is a list of some other important books we have published. They are : The Book Of Assistance, Faith Versus Materialism, Learning Arabic Language Of The Quran. Reclaim Your Heart is written by Ustadha Yasmin Mogahed. She received her B.S. Degree in Psychology and her Masters in Journalism and Mass Communications from the University of Wisconsin-Madison. "Ruling on Cartoons and Children books with Images" is a book on the ruling of Cartoons, Animations and Images in Islam. 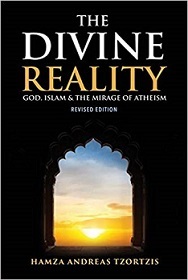 Author of the book is Dr. Bilal Philips.